I’ve been on a camellia flower oil kick lately. I love it when they give you your own little name card at the table at these press events. See that swirl? Almost too pretty to touch. 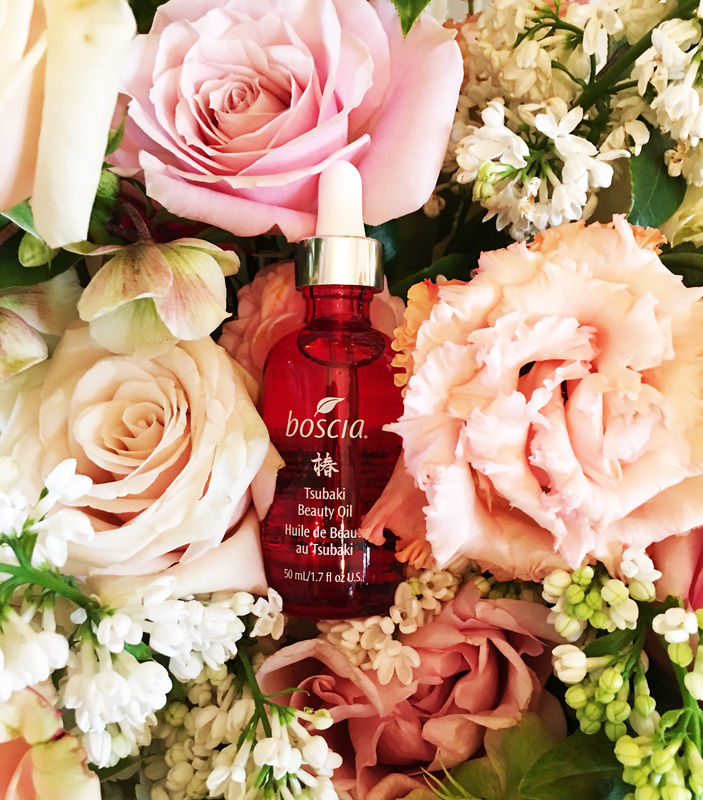 This swirl technology is patented, and Boscia is the only one to do it in North America. 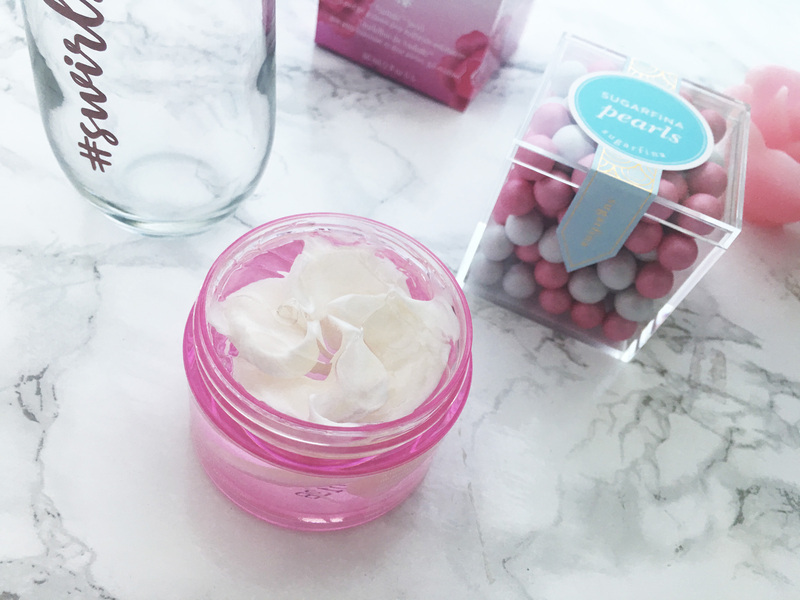 The white swirl is camellia flower oil with rice bran oil to fight dark spots, while the clear gel contains peptides to support collagen production and sodium hyaluronate, the salt of hyaluronic acid, which of course draws moisture into the skin. 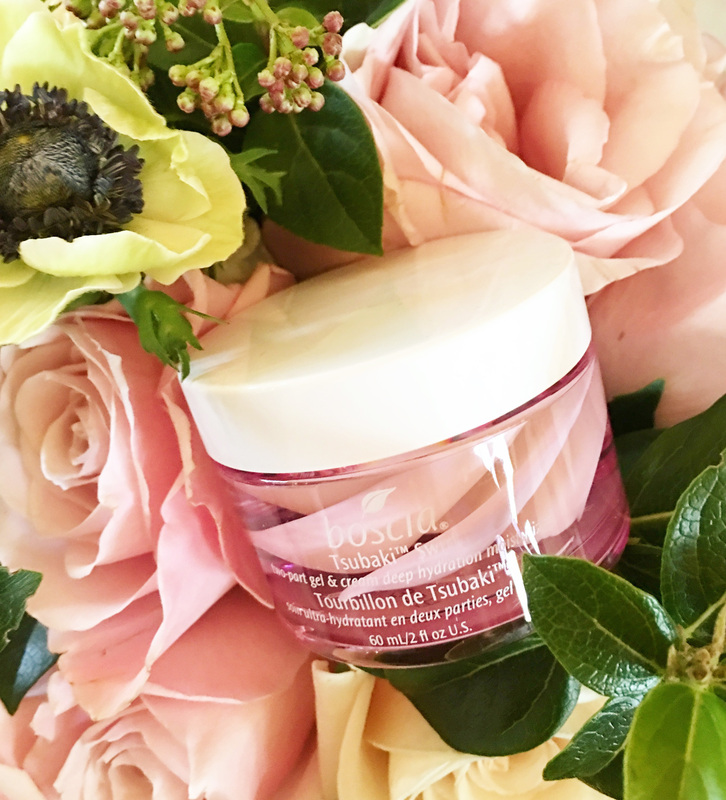 Basically, Boscia set out to create a super rich, super hydrating moisturizer but one that felt lightweight on the skin. And indeed, when you apply it, it does feel rich and buttery at first, but as you pat it in, all of a sudden it dries down and virtually disappears into a matte finish. It’s not sticky and not slick or greasy at all. It’s pretty amazing. 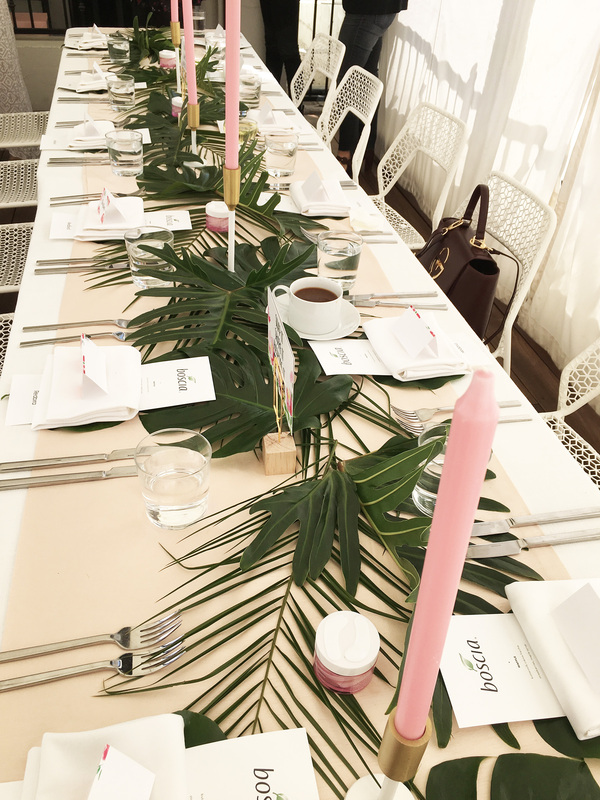 A brand after my own heart — pink galore! 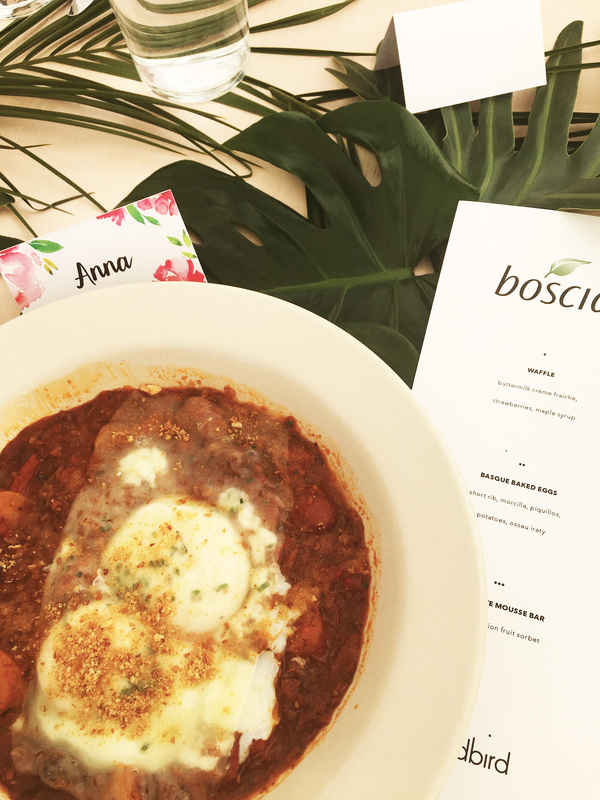 One thing that I think Boscia doesn’t emphasize enough is its preservative-free standard. 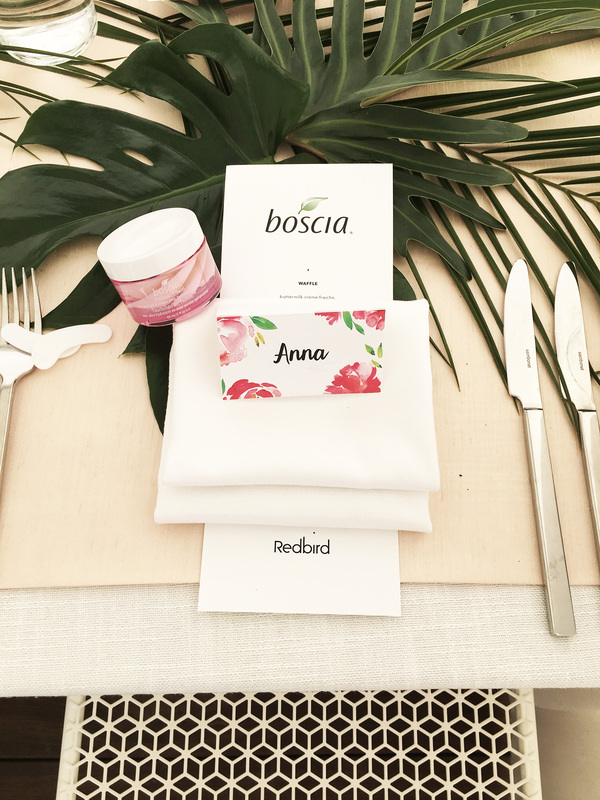 (Other than the fact that Boscia is a Japan-born, Southern California “grown” company based in Irvine, California.) That’s right — no preservatives. Also no alcohol or artificial dyes and fragrances, and yet the cream smells so lovely. And while I’m not an anti-chemical freak by any means, in an industry where there is so much choice, I am starting to give a little more weight, all things being equal, to the product without any “baddies.” I figure, hey, I get enough chemicals and radiation and crap in my food, from my devices, from just living and breathing in L.A. Why not do what I can where I can to minimize the unknowns? 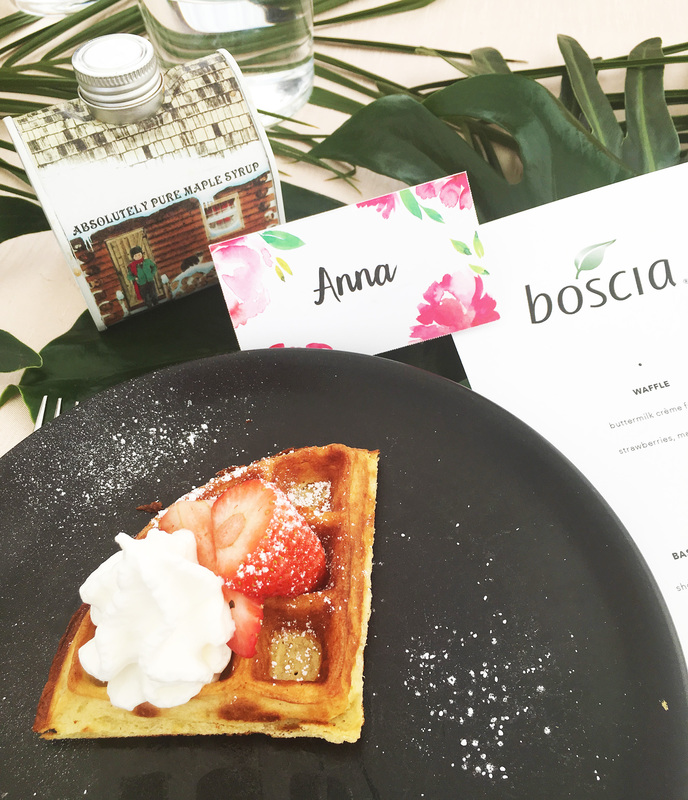 Scroll down for more photos from the Boscia press event. Other guests included Morgan from The Beauty Breakdown and Remi of Rrayyme. Brunch started with a perfectly sized waffle, complete with the cutest little maple syrup. I know this may not be the prettiest photo, but man, these Basque baked eggs with short rib was SOOOO yummy. I haven’t tried this oil yet, but now I’m dying to. Anyone tried it? 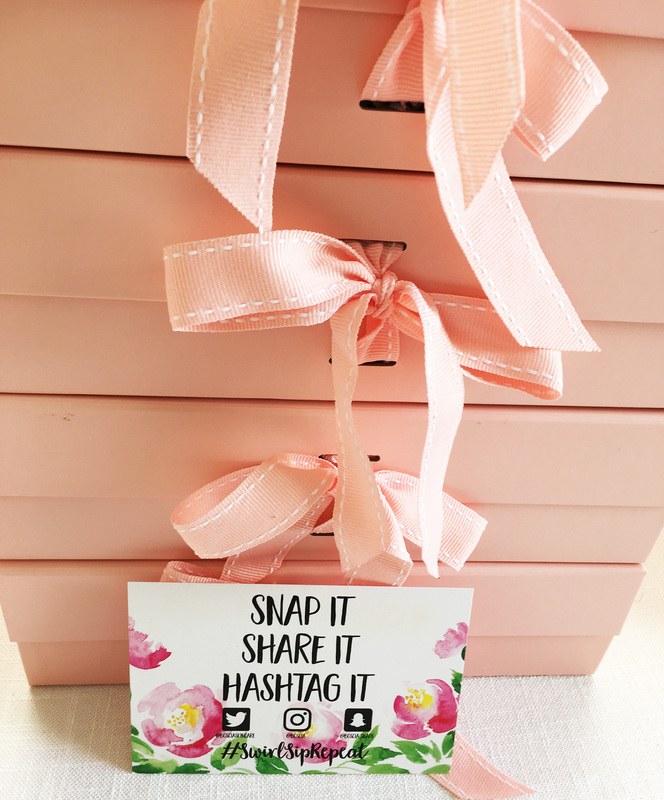 The adorable gift boxes everyone got. 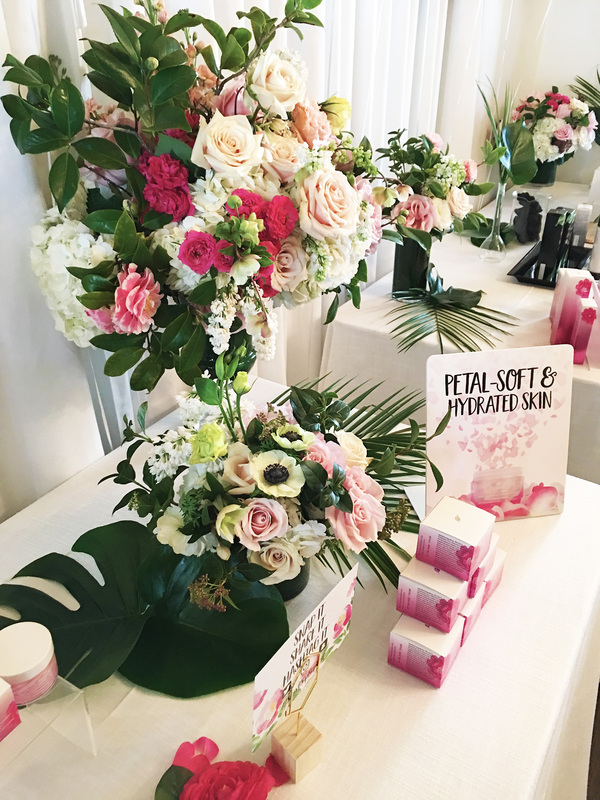 Inside were the Tsubaki Swirl cream, a tsubaki mask and black cleanser, and other pink-hued treats and goodies. Aahhh! Beautiful product. I didn’t realize it would look like a flower once the jar was open. Me too! It’s almost too pretty to use. 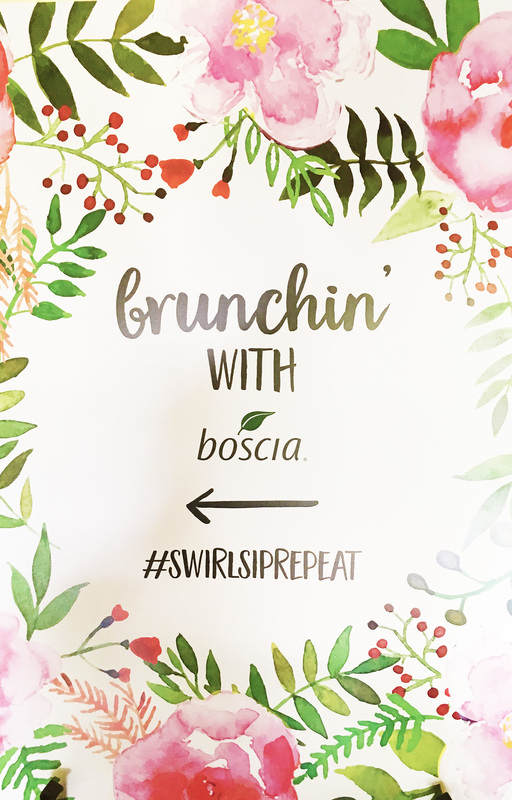 Boscia’s pretty good at doing the swirl in their products!